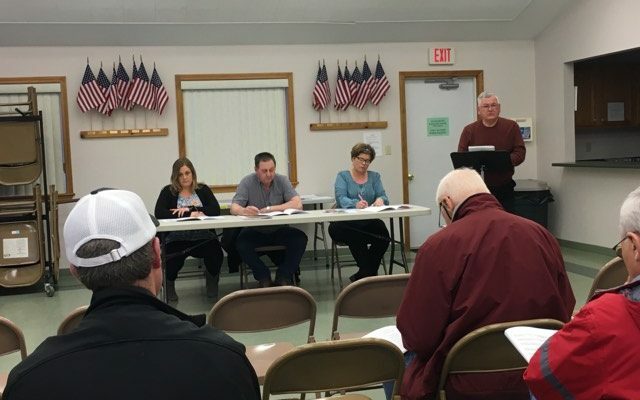 Voters in St. John approved a 2019 budget in the amount of $81,262.93 at their annual town meeting on Friday, March 29. ST. JOHN, Maine — Voters in St. John approved a 2019 budget in the amount of $81,262.93 at their annual town meeting on Friday, March 29. The current tax rate in St. John is $8.40 per $1,000 of valuation. The 2019 mill rate will not be finalized until the school budget is decided in June. St. John voters also elected three assessors. Patrick Nadeau garnered 43 votes to defeat his opponent, Joella Theriault with 11 votes to fill the first assessor position. Jill Jandreau was elected second assessor and Steve Pelletier, third assessor. Jandreau and Pelletier ran unopposed. Residents elected Michelle Glasscock as municipal clerk, tax collector, registrar of voters, and treasurer. Glasscock’s positions, as with the assessor seats are for a one year term.